Application is based on GPS Tracking. 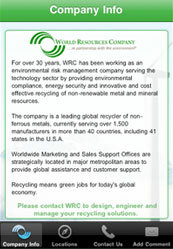 Application displays addresses of World Resource Company in worldwide. Listing screen shows all Country Flags. 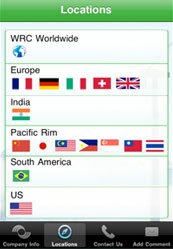 User can touch on flag and application will display address of WRC of that country in Google Map. 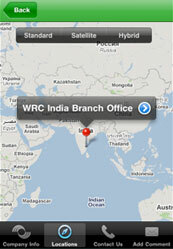 User can view road map from current location to selected destination of WRC in the same country. Application displays all addresses in one Map with world Google Map.